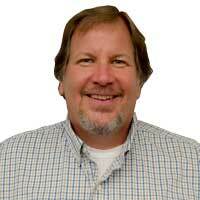 Marty Hammersley comes to Tarantin Industries with 24 years of experience in the Propane Industry. He began his career in 1988 as a Service Technician with Agway Energy Products. Then in 1993, Marty left Agway to work as a Service Technician for Suburban Propane. After a short time, he was promoted to Service Manager and then again to Customer Service Center Manager. In 2006, Marty began working for Mirabito Fuel Group as a Branch Manager and then moved to the New York/Pennsylvania area to work as a Branch Manager for Holiday Gas. Marty is GasCheck Certified and has attended several training seminars for regulators, product certifications, and Flexible gas Piping Design and installation. He has also trained in Polyethylene Tubing, is CETEP trained, and is well versed in NFPA 54 and NFPA 58. Here at Tarantin Industries, Marty’s job responsibilities include sales and customer service. Areas of Expertise: Residential Hearth & Heaters, Regulator Sizing, Gas Pipe Sizing, Appliance Installations.